When VisionAmp Marketing opened its doors in 2007, the company did one thing and one thing very well... build great looking custom websites. Since that time, our product offerings have grown, yet we have always remained focused on website design in Arkansas. We have learned a lot over the years and great design is still important. Website design is now only a small fraction of what makes up a good website. 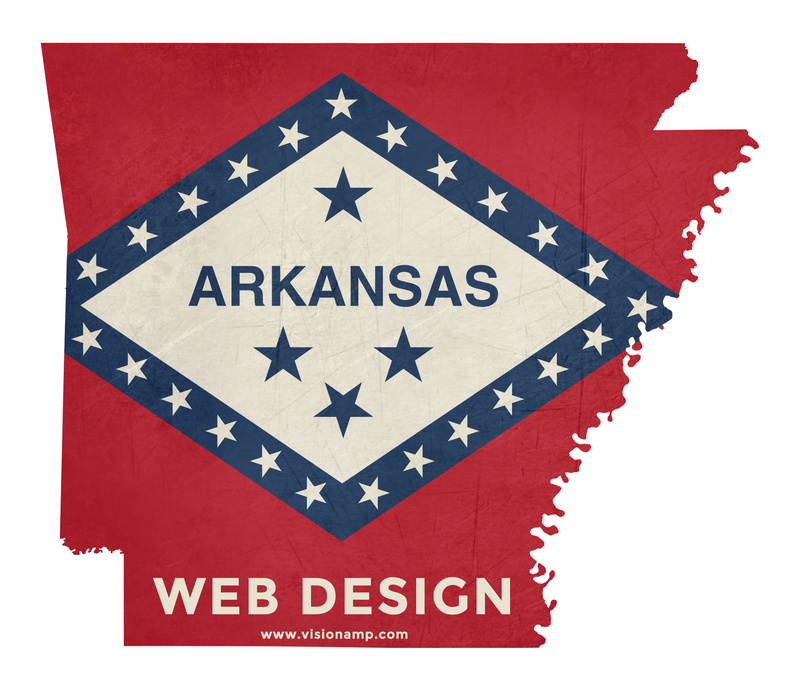 Here are five things that make a good Arkansas web design. In 2015, Google reported that 52 percent of search traffic and almost half of shopping traffic derived from mobile devices, so a compatible web design is no longer a luxury, a mobile friendly website is a necessity. In April of 2015, “Mobilegeddon” transformed the marketing world as we know it, ranking responsive and mobile websites at the forefront of web development. Make sure your website is built responsive. The point of your website is to generate leads, and convert those leads into sales. If your website isn’t doing what you want customers to do, then it isn't working. The only way to truly find out is by tracking website behavior, testing different variables and optimizing to increase its conversion and repeat. Write fresh content and keep your content nice, clean and presentable (not overly distractive or busy). You want to craft original content, content that is unique to your business, expressing your orginal ideas. Keep your title short, to the point and actionable. Begin your headline using a strong verb. Whatever topic you are writing about, include visual aids. Pictures and videos can help your audience have a better understanding. 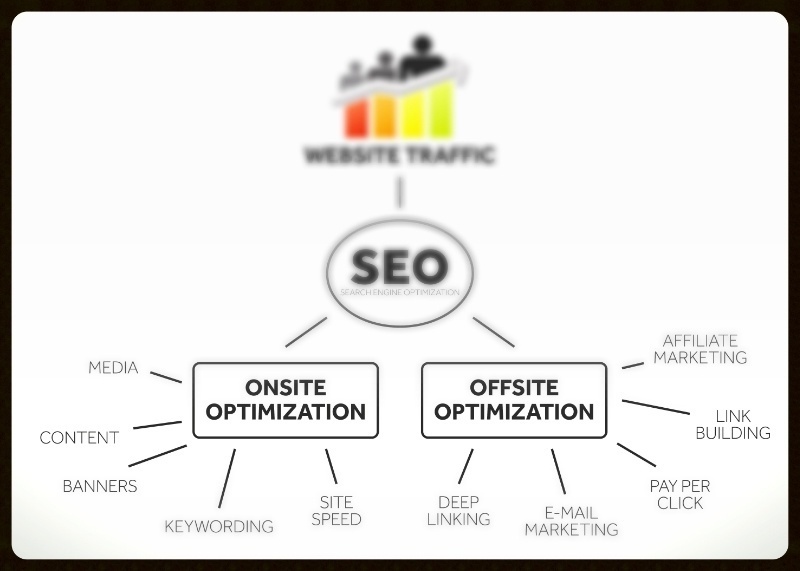 Refer to the above image of the onsite optimization as what not to do. Web design must be simple and easy to navigate for your website visitors. A lot of the time people assume that since all of the information is available right there on the website, it's going to give users easier access to find out everything they want to know. It's quite the opposite. With so much information at their fingertips, it's harder to locate specifically what users are looking for. Don't forget where you came from. Whether you are a small business or a household name, you've spent time developing knowledge on the way your industry works and how to be successful. Own your local market. No one should beat you in your own backyard. Websites are found in local searches on search engines. Educate your website visitors by writing articles pertaining to your area of expertise. There are lots of components that make up a great website design. If you want a more in depth look at how your website could improve, schedule a free consultation with VisionAmp Marketing. Comment below to tell us what you like about some of your favorite Arkansas web designs.